Vertical Plate Filters offer the benefit of automatic cleaning by wet cake or dry cake discharge. Sparkler Filtersmanufactures both vertical or horizontal tank vertical plate filters. Contact Schoonover, Inc. for more information on which filter is best for your application requirements. The VF vertical tank vertical plate filter is used where floor space is limited. For dry cake discharge, the bottom has a cone with a valve or a bottom drop door. For wet cake discharge, the cake is dislodged with a sluice header and discharged through the drain. 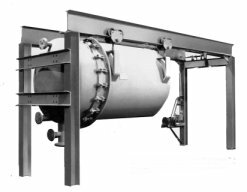 The MCRO mounted cover, horizontal retractable tank, overhead supported filter is the answer for high volume, heavy duty applications like mining, commodity chemicals, vegetable oils, sugar refining and waste or recycle water. No piping disconnects are required to open the filter. 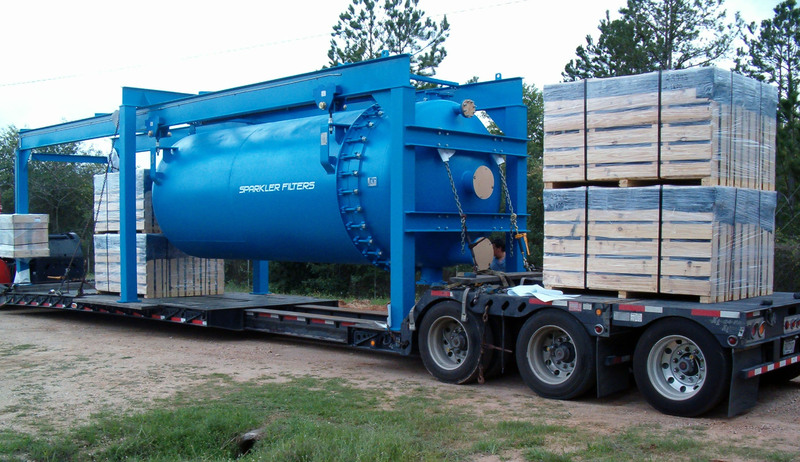 The transplate sluice operates with the lowest wash volume per square foot of area for high efficiency and rapid cleaning. For processes with uniform flow and solids content. Vertical plate filters require constant flow or pressure on the filter plates. The filter plates may be cleaned without opening the filter vessel. Large capacity filters for processes with uniform flow and solids content. Vertical plate filters require constant flow or pressure on the filter plates. Wet cake discharge without opening the filter vessel. Highly efficient sluice system. Tank retracts for dry cake discharge.